This is the finale in a series. As my life changes, I have less time for video games, and while this may seem like a childish thing to leave behind for many, this series is about what true pieces of art video games can be, and how they’ve impacted me. PREVIOUS POSTS: Number 10, Number 9, Number 8, Number 7, Number 6, Number 5, Number 4, Number 3, Number 2. We explored a few genuinely great games across many platforms and generations, but they’ve all had a personal touch. This one, more than any other. From the beginning, I’ve said that the games on this list are not a traditional, objective top 10. They’re the ones that show how video games can be more than entertainment, but actual art. They’ve also been extremely personal, many of them tied to a part of my own history, some of them even shaping me as an individual. So my number one pick is not the best video game in the world. In fact, there are plenty others that are better–even on this list! But I picked this one because it is directly tied to an incredible shift in my life, one that helped me discover a massive part of myself. Yes, a video game. One that changed me as a person in a wonderful way. Here’s a game that slipped under most people’s radar, mostly because it’s an RPG and Final Fantasy dominated the RPG market around the time of its release. But it’s a solid game with a lot to like. The graphics are gorgeous for the PS1 era, the music is incredible, and the characters are mostly enjoyable (except Shana. NEVER Shana). The battle systems adds to the RPG formula with extendable attacks called Additions, plus the Dragoon system allows you to temporarily transform into a more powerful version of yourself and use magic. But what really got me was, no surprise by this point, the story. 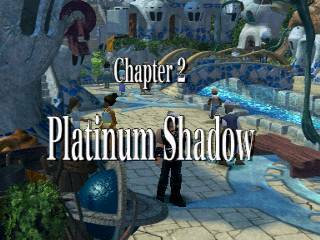 Like Skies of Arcadia, it’s a sprawling epic. It covers 4 discs, which was huge in those days, bigger than Final Fantasy 7 and 8 (Let’s face it, FF8 was only 3.25). But unlike most long games of today, there’s almost zero fluff. Every leg of the journey serves some purpose in the greater narrative. There’s little to no wandering, every character is somehow important, and even though it’s big, it all fits. So how the heck did this game change my life? By reading this blog, you’re looking at it. The Legend of Dragoon made a writer out of me. TLOD uses a layering technique to tell its story. Every step in the journey peeled back one layer of the onion and you could see a little bit more of the story. It gave you just enough to keep going, step by step, but each step flowed logically into the next, so it was never a gimmick. The story told was appropriate for the time and left you to discover the rest. This allowed a relatively small opening mission to turn into a massive unfolding. My problem with a lot of story-based games today is the development peters out way too quickly. Final Fantasy does that a lot, unfortunately. FF13 was horrible, with the last 2-3 chapters of the game being nothing but endless fights that don’t grow the story or characters at all. TLOD peeled back new layers all the way up until the very last fight, when the final piece of the puzzle is put into place and the whole story becomes apparent. Like an epic fantasy novel, this game clearly had a large story to tell, one rife with history and personal conflicts, but instead of oversimplification or regular info-dumps, it dropped little seeds along the way and let them grow into a whole. The final fight isn’t just the end of the game; it’s the culmination of everything else in the 4 discs of gameplay. That’s not just a good game; that’s good writing. Look, even I’ll admit that the plot needs some refining and certain gameplay aspects are stilted. But the method of storytelling is sublime, giving just enough at every step–not so little that you’re wandering or wondering, but not so much that it gives the game away. My friend and I were so enamored with this game’s story, its history and mythology, that in 2002, we created a 77-page fanfiction together. I was the first story I ever wrote. Oh, it’s bad, bad as only a 14-year-old’s fanfiction can be. But it was my first story, my first love. That story turned into a series, which I ended up rebooting when I became a better (not great) writer. This led to writing other fanfictions, which led to trying a few original stories, which led to me publishing a fantasy novel, writing a blog, and diving headfirst into the world of writing. This game showed me who I was: a storyteller, a creator and developer. I love stories, whether on paper, on screen, in music, or on the radio. Seeing the developing story has helped me live my life in a new way, to look beyond what’s right in front of me and see the bigger picture. Jesus used stories in the Bible because sometimes fiction tells more truth than the bare truth alone. Everyone and everything is part of one grand, unfolding narrative where everything is connected, everything has a purpose, and we’ll all be peeling back layers until the end of time. Some say video games show a lack of intelligence. I disagree wholeheartedly. This game alone taught me the power of a story. I didn’t used to like reading books, but when I saw how good a tale could be, I began reading more, which of course furthered my desire and ability to write. I saw movies as more than entertainment, but as a storytelling medium. Even music can portray something magical. It opened up my mind to a level of art that I’d never seen before. 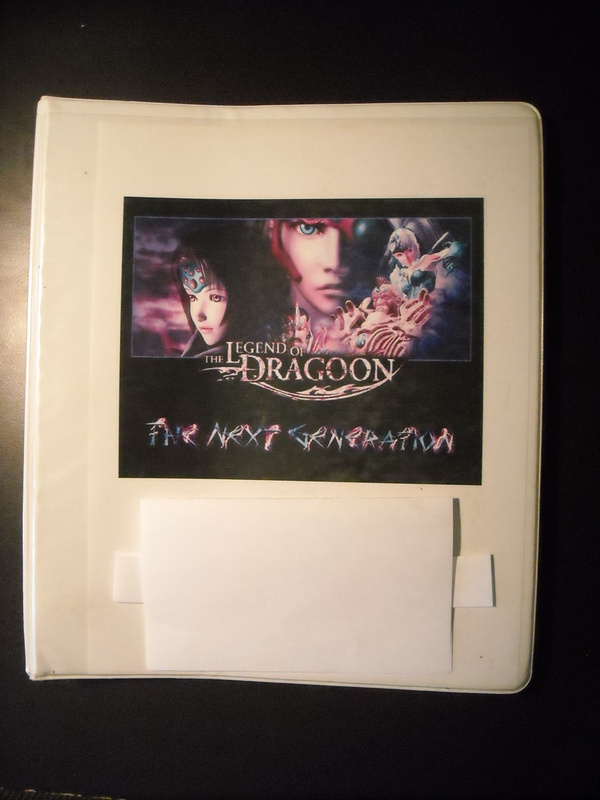 The Legend of Dragoon is a good game in its own right, but no other game has had that kind of impact on my life. That’s why it’s my number one game of all time. QUESTION: What video game or games impacted you as a person more than any other? < Previous Christians: Is Trunk-Or-Treat a Terrible Idea? This is without a doubt my favorite game of all time as well. I was hoping this would end up on the list somewhere and seeing makes me happy knowing I’m not alone in my complete “awe and wonder” at the story and gameplay. I think about it often to this day and have looked for games that even come close to the genius that I felt this was. Hopefully one day – glad I get to nerd out on your blog a little bit. Thanks! Aaaahhhh that is so awesome, dude! Glad I found another TLOD fan who puts this game at the top!